Bumblebees are an indispensible and iconic part of our summer gardens. The black and yellow fuzzy stripes that attract pollen like a magnet give bumblebees a cute, almost teddy bear-like appearance. Their bulky bodies seem too big to be borne aloft on those relatively tiny wings. Champion pollinators in their own right, bumblebees are picking up some of the pollinating slack from the beleaguered honeybee. They will fly in lower light levels and in cooler temperatures than other bees. As with honeybees and other types of bees their numbers are declining, and for many of the same reasons. Yet bumblebees are an important, though unheralded, pollinator, and their life cycle and needs deserve to be better understood by gardeners. There are over 250 species of bumblebees, part of the genus Bombus, found all over the world. Many bumblebee species are native to the U.S., unlike honeybees, which were brought here in 1622. Bumblebees, like honeybees, are known as social bees. That means they live in colonies that number anywhere from 50 to 500 bees. There is a single queen that the other bees protect and feed. In late fall, the entire colony dies except the queen. She, carrying the eggs for next year's colony, will hibernate over the winter and start the new colony in the spring. Unlike honeybees, which form above ground hives, bumblebees live in the ground, under leaf litter. Because bumblebees don't survive the winter, they don't need to make honeycombs or store honey the way honeybees do. They do, however, produce wax, which is needed for covering eggs and nectar pots. Bumblebees are pros at what's known as buzz pollination. 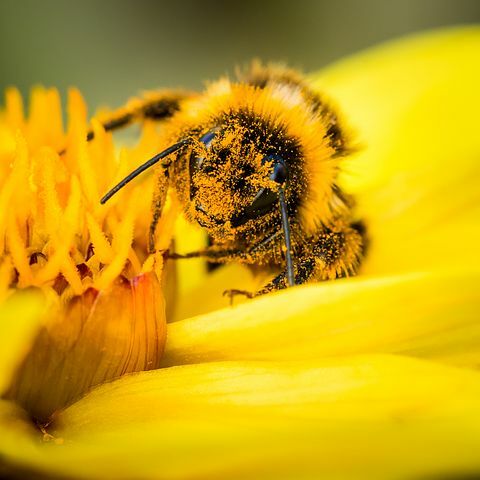 A bee will grab a flower in its jaws, and as its wings beat over 130 times per second, the vibration shakes off the pollen, transferring it to the bee's big, fuzzy body to be carried to the next flower. 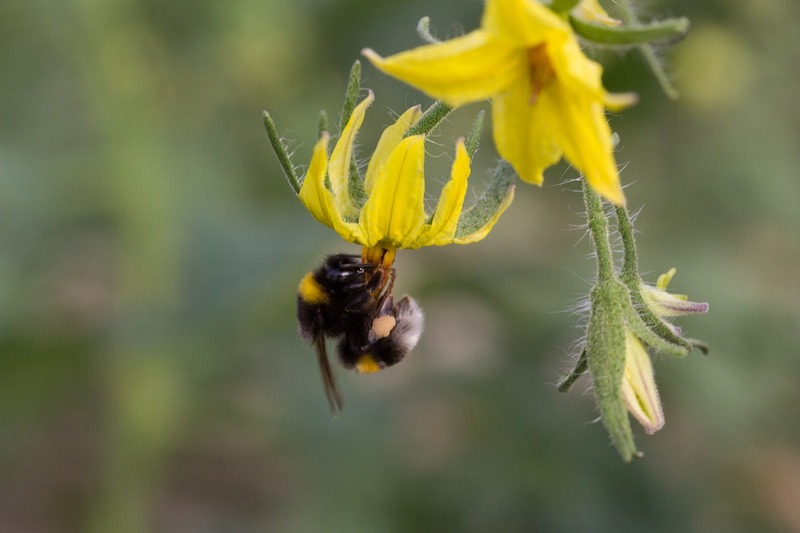 Buzz pollination increases the yields of self-pollinating plants such as tomatoes and peppers, and is vital to the genetic diversity of many wildflowers. Bumblebees can sting, but will only do so to protect their nest. They are gentle as bees go, and while one might bump into you while gathering pollen and nectar, you are not an object of interest but simply an interruption in their flight path. Unlike honeybees, bumblebees do not die when they sting. 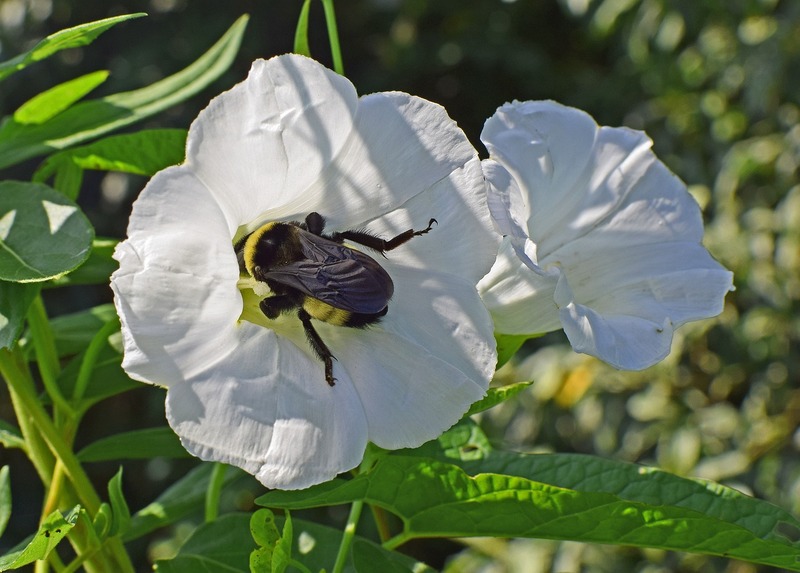 Certain types of bumblebees are at risk of extinction, and one, the rusty-patched bumblebee, is the first wild bee on the U.S. endangered species list. The bee's range through the East and Midwest has declined by 87%. All bee populations in the U.S. are declining due to habitat loss, climate change, disease and pesticides. It's estimated that bumblebee populations throughout the country have declined by 28%. The way to help bumblebee populations is the same way we can help many other pollinating insects: by providing flowers and habitat. It's important to have flowers in bloom in three, even four seasons where feasible, especially early spring when food sources are scarce. Don't clean up leaf litter and leave weeds and undisturbed areas where possible. Don't use pesticides or herbicides. Provide nesting boxes. 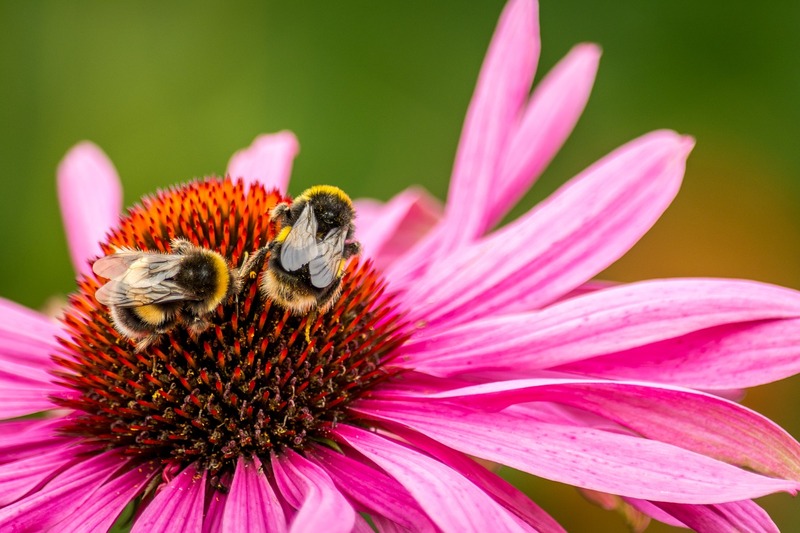 There is still a good deal scientists don't know about bumblebees, such as detailed information on how populations are faring, how habitat loss is affecting specific species, and whether toxins and diseases affect bumblebees the same way they do honeybees. Like fireflies and butterflies, bumblebees are one of our most endearing and charismatic insects. They are an irreplaceable part of our food system. They need us, and we need them.